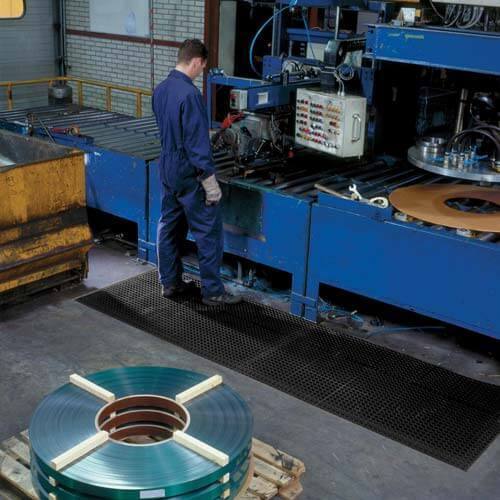 Cushion-Tred is made from a resilient rubber compound that can withstand many of the commonly found industrial chemicals, cutting fluids, oils, and greases. 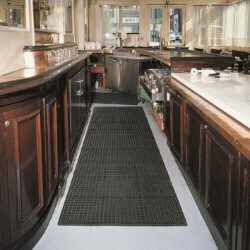 A large hole drainage system facilitates the removal of liquid and debris from the work area. 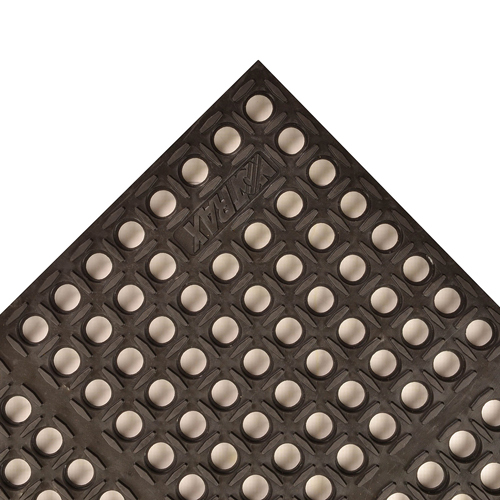 Multiple mats can be affixed together with optional connector strips. Production time: 3 to 5 business days. 1. Grease resistant rubber compound withstands industrial greases, cutting oils and chemicals. 2. 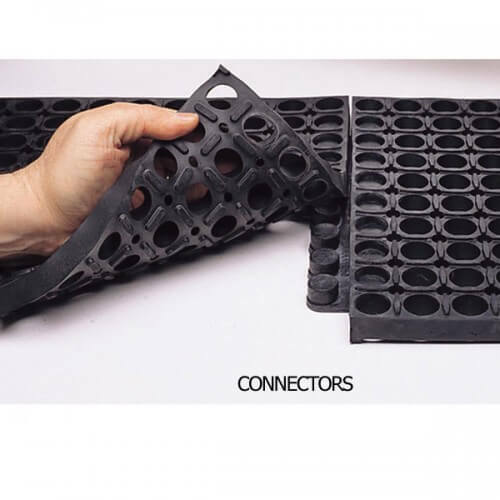 Large hole configuration facilitates drainage and resists clogging. 3. 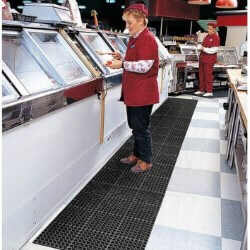 A nitrile version is also available for use in food processing applications. 4. Note: Mat has squared, not beveled edges. 5. 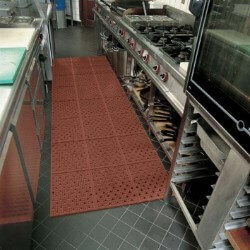 Modular design is compatible with NoTraxÂ® 551 M.D. Ramp System and can accommodate a variety of custom configurations.